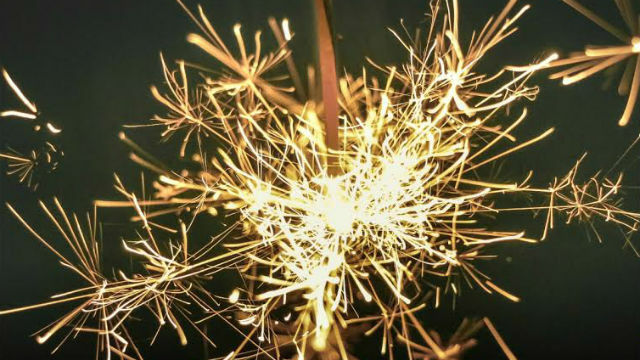 These 10 ideas will ensure you have a sparkling New Year’s Eve. A Taste of Paris — Bleu Bohème, the Left Bank-inspired restaurant in Kensington, will celebrate New Year’s Eve by offering a prix fixe dinner from 5 p.m. to 10 p.m. The three-course menu priced at $69 per person. Craft Beer Toast — Stone Brewing in Liberty Station is celebrating New Year’s Eve from 8 p.m. to 1 a.m. with servings from more than 50 beers on tap, dancing with a DJ, food stations, dessert and a cigar lounge. Tickets are $99 per person. 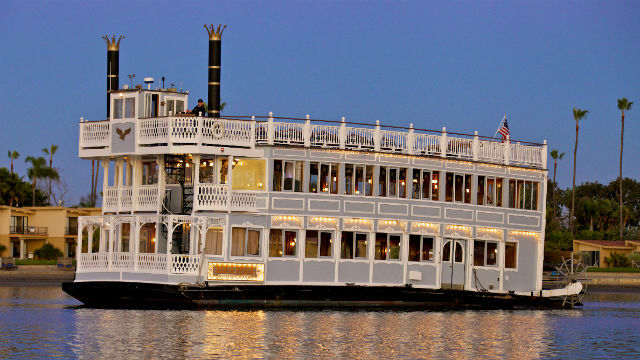 Riverboat Cruise — The Bahia Belle is cruising Mission Bay on New Year’s Eve with a DJ and bar. There are three boarding times before midnight at the Bahia Resort Hotel, where you can then stay overnight. The cruise and overnight stay cost $199 per couple. Hawaiian Feast — The Roy’s restaurants in downtown San Diego and La Jolla are offering four-course New Year’s Eve dinners at $55 per guest. The special menu is available after 5 p.m. with advance reservations and includes wine and Champagne. Jazz Party — Croce’s Park West is offering dinner and jazz, with seatings from 5 p.m. to 9 p.m. Packages include dinner, live music and, with the last seating, a Champagne toast. Prices are $50 to $95 per person. 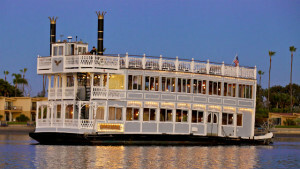 Ferry Boat Soiree — The Maritime Museum of San Diego is holding it’s annual Black and Gold New Year’s Eve Party on the upper desk of the steam Ferry Berkeley. The event will transform the historic ship into a classy lounge with two DJ stages featuring electro swing, electronic pop and nu disco. Guests will receive hats, noisemakers, beads and more to help ring in the new year. Tickets start at $50. Laugh a Little — The Comedy Place in Kearny Mesa is offering final laughs for 2015 followed by a DJ and dancing. Doors open at 8 p.m. and the countdown event lasts until 2 a.m. The $100 general admission includes dinner, an open bar and champagne toast. The view from Mr. A’s. 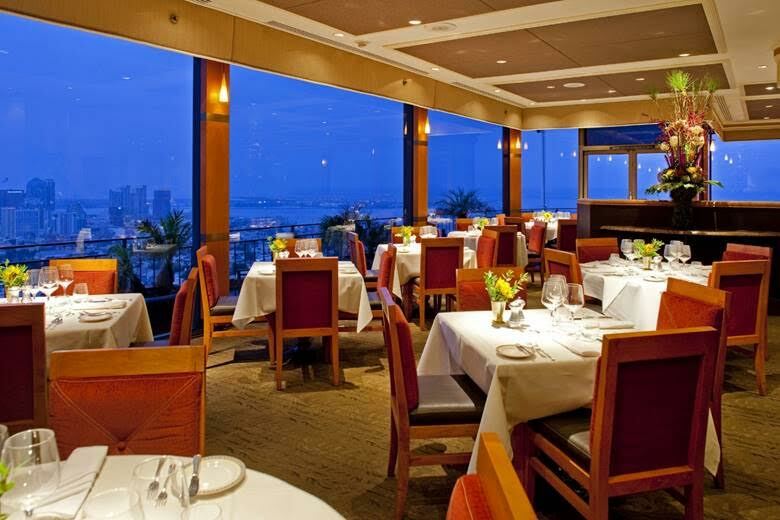 Above it All — Mister A’s, the landmark restaurant with a commanding view of downtown San Diego, is offering two New Year’s Eve seatings with a five-course prix fixe menu. The price is $135 per person. Don’t Forget OB — Wander off the beaten path to Ocean Beach, where Cohn Restaurant Group’s OB Warehouse is hosting a globally-eclectic three-course dinner menu. Guests will have their choice of such dishes as the Truffled Butternut Squash Soup, the Truffled Wild Mushroom Risotto, Goat Cheesecake with lemon marmalade and Chocolate Mousse. The price is $49.95 per person. Green Line (from 12th & Imperial Transit Center to SDSU): 12:36 a.m., 1:36 a.m. and 2:36 a.m.
Blue Line (from America Plaza to San Ysidro): 12:28 a.m., 1:28 a.m. and 2:28 a.m.
Orange Line (from America Plaza to El Cajon): 12:31 a.m., 1:31 a.m. and 2:31 a.m. Happy New Year from Times of San Diego. Enjoy the holiday, and remember not to drink and drive.